Since the 1990's, Milenco has lead the market for Towing Mirrors. We have certainly spent more hours, resources and money in the development and innovation of Towing Mirrors than any other company in the world. 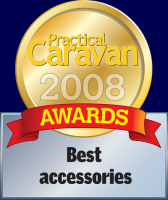 At the 2007 NEC Caravan & Boat Show, Milenco Limited re-wrote the book on towing mirrors, when it launched the award winning Aero Towing Mirror. The Aero Mirror offered unrivalled stability at very high towing speeds. It was the first towing mirror to meet the new pedestrian safety standards and the new International standard UN46.2 (ADR14.2, ECE 2003/97). In 2008 Milenco launched the Grand Aero Towing Mirror. The Grand Aero Mirror offers all the benefits of the original Aero Mirror, plus the maximum view possible, combined with very high stability. As you would expect from Milenco, this is a very high quality product, manufactured with the best materials available. In 2010 the Aero was updated to the Aero 2 design which gives even better view, especially at the extreme of vision. In 2015 we have launched the new Aero 3 design and Grand Aero 3, with improved fitting, greater security and grip to ensure these mirror fits all new model cars, including the latest 2016 model Land Rover’s, Jaguars and Mitsubishi’s. The Aero range of mirrors have been continuously improved over the years and modified or adapted to fit all new vehicles as they are released. In all Aero Mirrors the clamping screws are stainless steel and turn in brass inserts, which will never corrode, and all Aero Mirrors are fitted with chrome safety glass, which will not discolour in time. These are very high quality mirror's made with the best material available and will give years of reliable service. On the Grand Aero, the head is the largest ever used on a caravan towing mirror, and has been designed to enable you to see the top and bottom of your caravan in order to avoid high level obstacles such as road signs or trees that can damage your caravan. Aero Mirrors fit all cars, 4 x 4's and vans produced since 1980, with a very small number of vehicles requiring certain modifications. Remember, when you are towing your caravan or any other trailer that is wider than the narrowest part of the rear of your vehicle, it is a legal requirement that you fit additional towing mirrors. These mirrors must be E-Marked (Europe and Australia). As a very simple guide if you look at the rear of your car (without a caravan) and see the distance that the door mirror projects from the car, this is how far out you should be able to see your Towing Mirrors from behind the caravan when towing. You have all seen the sign "If you can't see my mirrors then I can't see you". If you can't see your Towing Mirrors from behind your caravan then you need wider mirrors. Extra Wide Arms are available for our Aero Mirrors for narrow car/wide caravan combinations. If towing blind in the UK (without towing mirrors), or using too narrow towing mirrors you can be prosecuted by the police and given 3 points on your license and fined up to £1000 per offense (e.g. per side). On tow vehicles conforming to directive 2003/97 EC or sold after January 2007, the towing mirrors may project 25cms further than the widest part of the caravan. On tow vehicles pre dating this directive, the mirrors may project 20 cms further than the widest part of the caravan.